Condition: marvellously crisp impression (i.e. 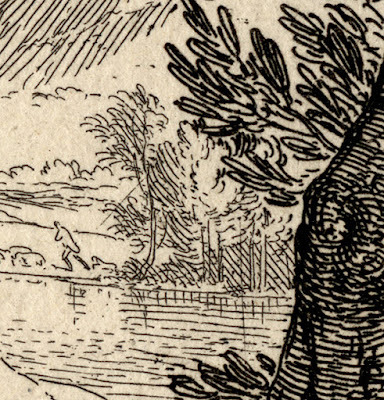 it is well printed and the plate shows no wear) with small margins and in good condition for its age (i.e. there is no foxing or significant stains but the sheet shows signs of use in terms of being a little dusty with a light fold that is almost invisible on the front and with a small chip on the upper-left margin). There are remnants of old mounting tape and pencil inscriptions from previous collectors (verso). I am selling this original 17th etching lifetime impression (?) 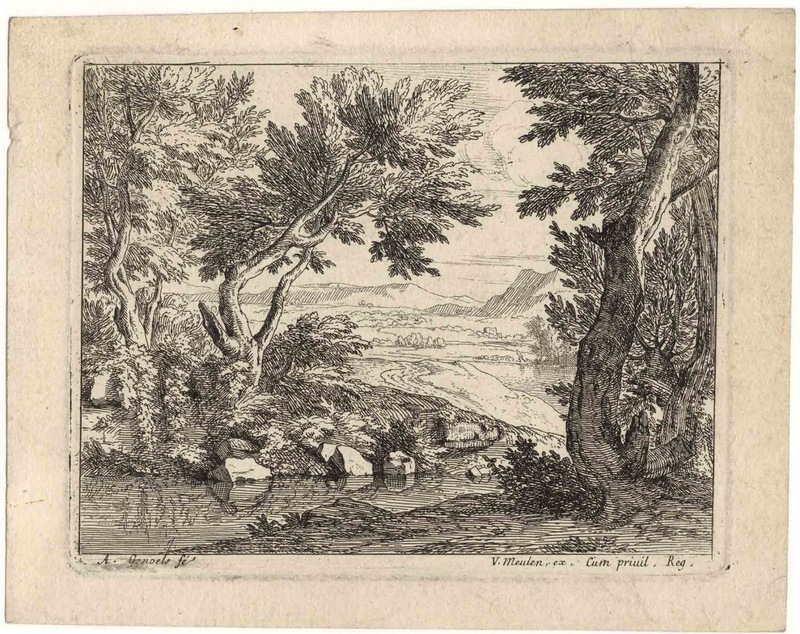 by Genoels for AU$157 (currently US$113.31/EUR100.98/GBP78.10at the time of posting this print) including postage and handling to anywhere in the world. 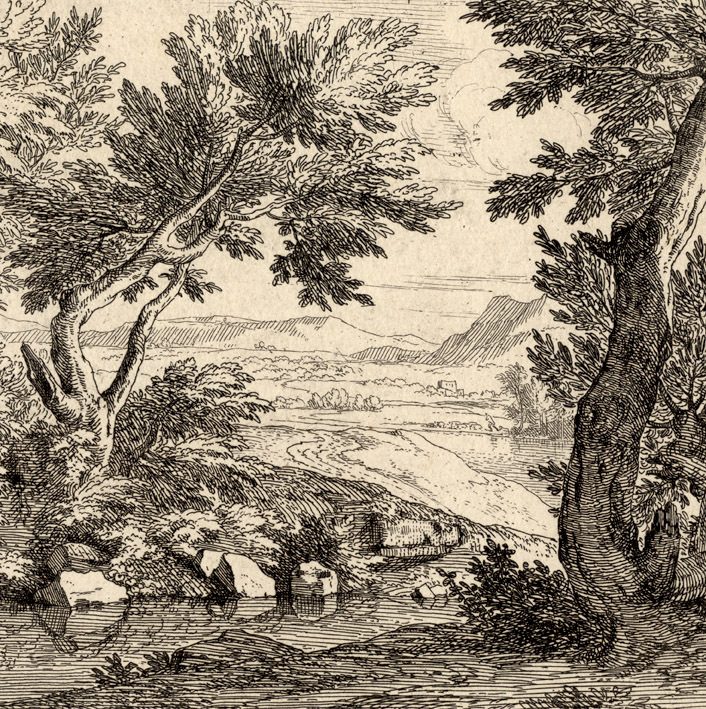 If you are interested in purchasing this rare and very beautiful etching, please contact me (oz_jim@printsandprinciples.com) and I will send you a PayPal invoice to make the payment easy. 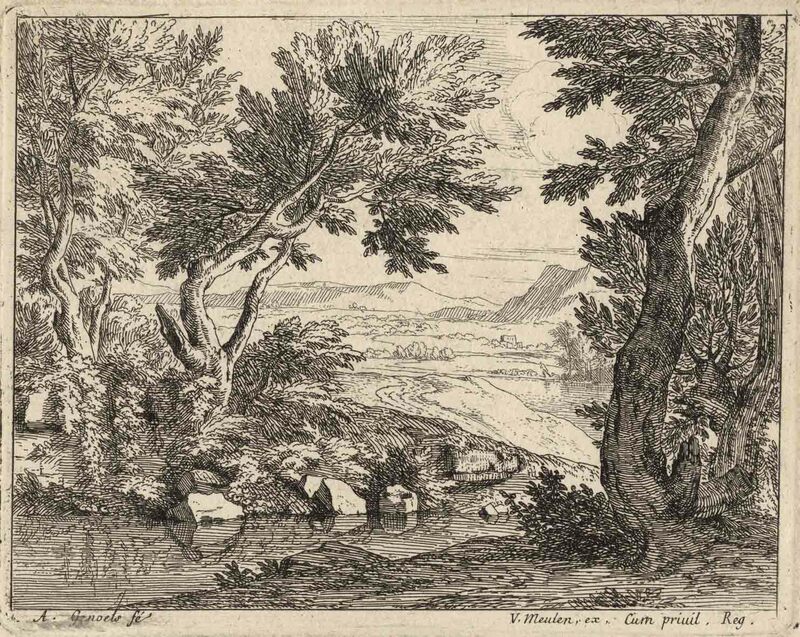 I was once so fascinated by Genoels’ landscapes that I acquired them whenever they came up in auctions—luckily Genoels’ prints are rare and so my finances didn’t receive too much of a hiding. My attraction to this particular print was not so much that it exemplifies all the important attributes that collectors’ seek in a fine print from the 17th century: a well-documented provenance; a crisp and richly-inked lifetime impression from an unworn plate; margins around the plate-mark; and, an impression in a museum quality condition. Rather, my interest leaned more to how it “fitted” into Genoels’ development as an artist. 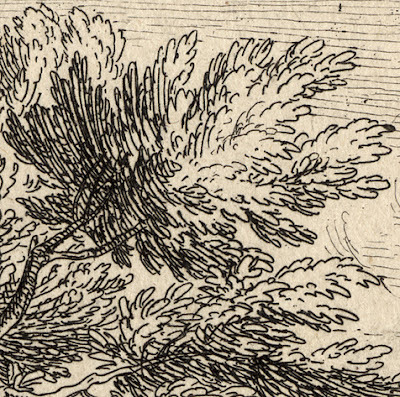 More precisely, that this print represents something of a milestone in Genoels’ understanding of perspective. 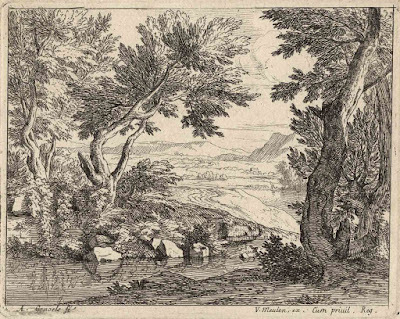 I mention the significance of Genoels’ understanding perspective, as this print was executed at a time when the artist had joined Nicolaas Maeten Fierlants (1622–94), who specialised in perspective paintings, as one of his students. What I love about this precious gem of an image is how Genoel invites the viewer to gaze into the portrayed far distance following the course of a meandering river framed between trees in the foreground. 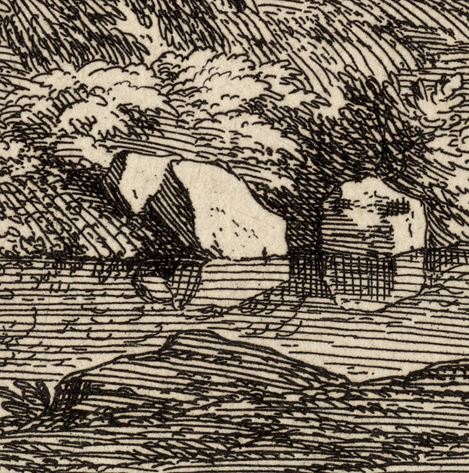 Of particular interest to me is Genoel’s treatment of the rock's reflections in the foreground. These reflections may not be exactly correct from a technical standpoint, nevertheless, they still seem very convincing at a casual glance.